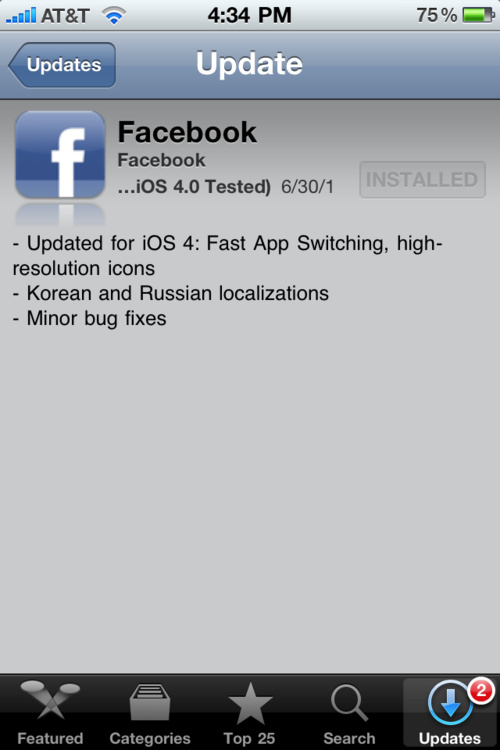 Facebook has officially released an iOS 4 update for their Facebook for iPhone app, bringing with it support for Fast App Switching, high resolution icons, minor bug fixes and performance enhancements, and Korean and Russian language localizations. Unfortunately, what everyone is still waiting for, an official Facebook for iPad app, is still nowhere to be found. You can grab the latest version of Facebook for iPhone from iTunes here.